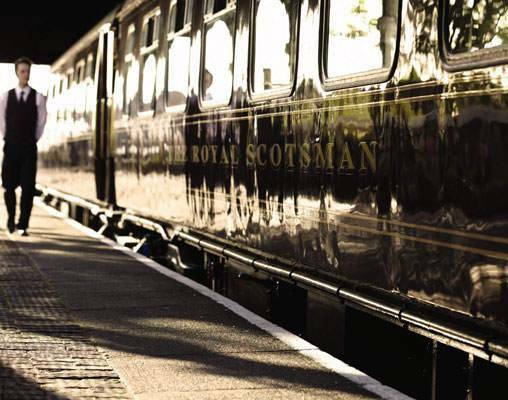 We begin in the town of Edinburgh where we board the famed Belmond Royal Scotsman. It is from here we begin our westwardly and northerly route through the rolling hills, stunning lochs and lush woodlands of Scotland before stopping for the night. On the second day, our tour of some of the country’s most notable golf courses begins. By train, we travel to courses including Spey Valley Golf Club, Castle Stuart Golf Links, and Trump International Golf Club. For those that prefer to stay off the greens, exciting tours await. 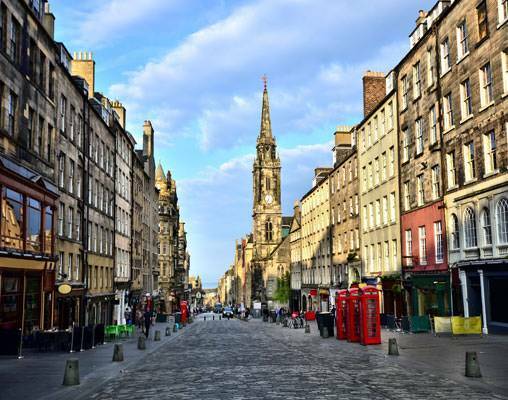 Complete with delicious meal offerings, onboard entertainment, and comfortable accommodations, this Scottish train tour leaves a mark on all who join. Departing Edinburgh in the early afternoon, journey west past Stirling and Gleneagles resort to the ‘Fair City’ of Perth. Enjoy afternoon tea as you travel on the Highland line to Druimuachdar. 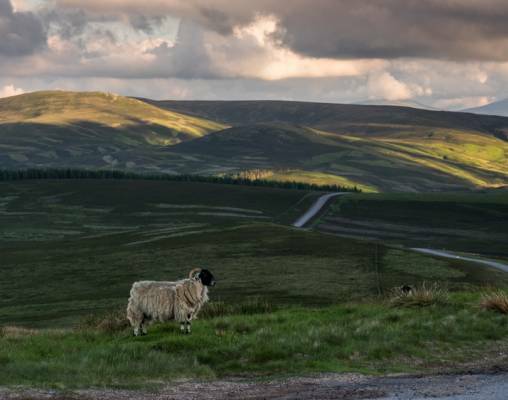 Dinner is served on the move as you journey north, passing Kingussie and Aviemore in the Cairngorms National Park and Inverness, before arriving in Tain for the night. After breakfast golfers disembark to play at Spey Valley Golf Club followed by a late lunch in the Clubhouse. 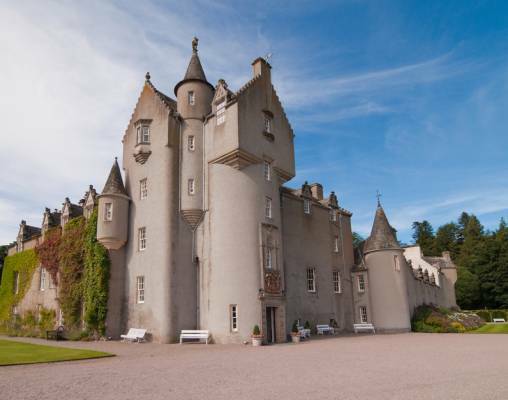 Non-golfers can enjoy a day at Rothiemurchus Estate in the heart of the Cairngorm National Park. 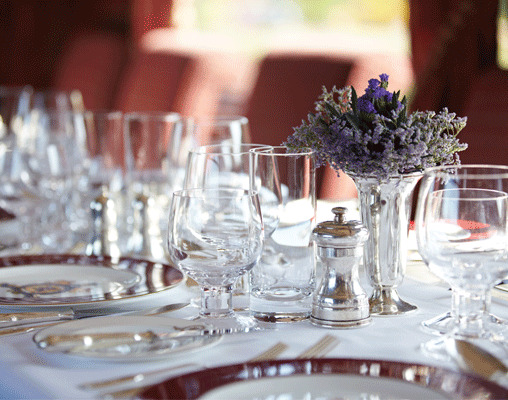 All guests rejoin the train in Boat of Garten for an informal dinner and the evening journey towards Kyle of Lochalsh. Retire to the Observation Carriage after dinner for an after-dinner drink and entertainment by local musicians. Depart early from Kyle as the train retraces its route to Inverness. Golfers disembark to play the new Castle Stuart Golf Links, host venue for the Scottish Open 2011-2013, with panoramic views across the Moray Firth. In the afternoon, all guests return to the train in Keith, dinner on board followed by entertainment in the Observation car. Non-golfers alight in Elgin for a visit to Johnston’s Cashmere Centre, followed by a scenic drive to Ballindalloch Castle. Breakfast is served as the train travels south-east to Aberdeen. Disembark in Keith to play the championship course at Trump International Golf Club. 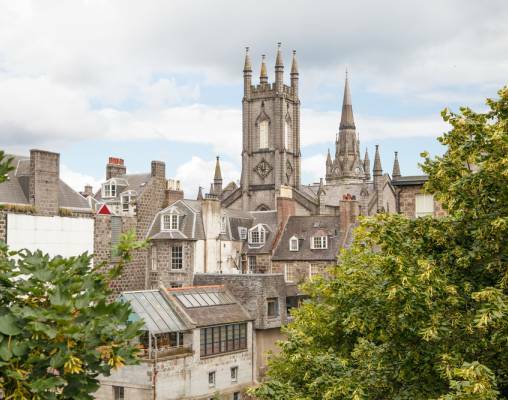 Non-golfers disembark in Aberdeen to enjoy a private tour of Pitmedden Gardens followed by a visit to the 13th century Fyvie Castle after lunch. All guests rejoin the train in Aberdeen before travelling south, through Montrose and Arbroath, to Dundee for overnight stabling. Retire to the Observation Car after dinner for the evening’s entertainment. Depart Dundee in the morning and travel south through the Kingdom of Fife, crossing the Firth of Forth by the Forth Railway Bridge, one of the greatest achievements of the Victorian Age. Arrive in Edinburgh mid-morning, where your journey ends. The sleeping cars provide 14 twin, two double and four single State Cabins, each lined with rich marquetry. All have a private bathroom with shower, washbasin and toilet, constant hot water, high-quality toiletries and fresh towels every day. Rooms have been designed to offer the ultimate in luxury travel. Facilities include lower beds, a dressing table, a full-length wardrobe, individually controlled heating, ceiling fans, opening windows and a cabin service call button. On each bed are a feather and a foam pillow, a hypoallergenic duvet and quilted cotton bed covers. With the train stabled at night in a quiet siding or station, a good night's sleep is guaranteed. Enter your details below if you would like to be notified when 2020 dates and prices are available for The Royal Scotsman - Scottish Golf Tour. Prices are correct at the time of publication, however are subject to change at time of booking. Pricing above is based on the currency conversion effective 6/11/2018, and can vary based on the exchange rate at the time of booking. Prices are land-only, per person based on double occupancy and include all table d’hôte meals, alcoholic and other beverages, all sightseeing excursions per itinerary, and accommodations on board the train. Itineraries are subject to change and full details will be confirmed with your final documents.